Sale and lease back is a form of leasing where you sell your purchased assets to us, immediately leasing them back. This is useful, for instance when you need to untie resources invested in an asset for other investments, but the asset is still needed in order to operate. You can also choose sale and leaseback when you haven’t yet purchased the assets. When you choose sale and lease back from TIP, we will buy your assets at a fair market price and lease these assets back to you for a fixed monthly lease rate, freeing up your invested capital and optimising your capital position. 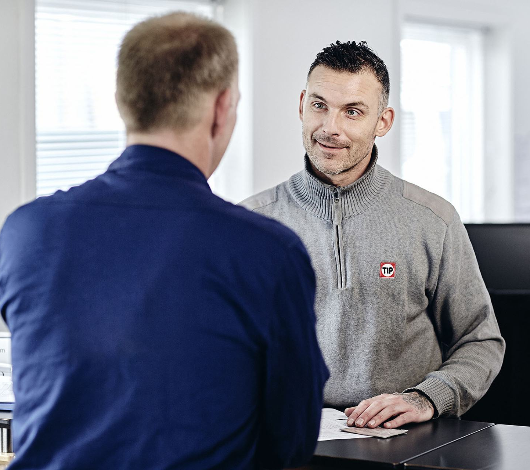 Like with our other leasing solutions we can offer additional value added services such as replacement vehicles during repairs, maintenance and repair management, roadside assistance, fleet and tyre management, and telematics for your fleet.